An outdoor garden dining set wouldn't be complete without a dependable wooden garden table. A wooden dining table is both stylish and comfortable whilst still being practical and convenient. This is due to the fact that wood is a hard wearing and weather resistant material. In fact, including a garden table in your garden is one easy way you can introduce a traditional look into your garden. Our tables are available as either a rectangular or oval wooden dining table, they can also either be an extending or folding dining table. We pride ourselves on using materials that are of the highest quality. That is why we choose to use either eucalyptus or acacia wood. We believe these types of wood are ideal for outdoor lounging furniture as they are both durable and long lasting. Which is why we use them for our dining chairs too. 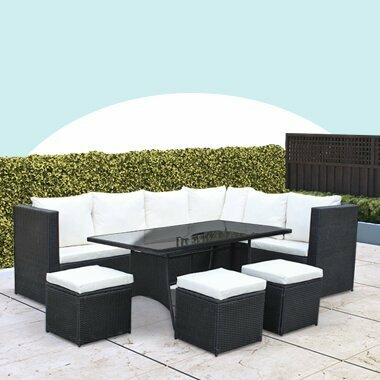 With a BillyOh wooden garden table you are able to create the ideal spot for enjoying the outdoors whilst enjoying your friends and family. Overtime, we came to observe that anything that has the ability to save space when not in use is a must. That's why we designed folding tables that are easy to fold. This means you have the option to store it away and out of sight when not in use, for instance in a garden shed, storage unit or simply under a wooden dining table cover. We also designed extending wooden tables which are perfectly suited to those who don't have a large number of people around enough to merit having a large table, or for those who simply want to save space when the table is not being used. The tables are easy to extend, simply requiring you to pull the edges apart and locking them in place once the foldable centre wood blocks are revealed. Our wooden garden tables can be used in a multitude of ways, for instance as a bistro table or a coffee table. Entertain a number of guests at once with the knowledge that whatever you place on your dining table will be supported and will comfortably sit there for as long as you need it to. Why not even create your own dining set with our different table and chairs options. This gives you the opportunity to think outside of the box and create an outdoor dining set that others may not even think of putting together.